The second player from the Ricki Herbert Football Academy to train with top English club Fulham FC has called the experience “an honour and a privilege”. 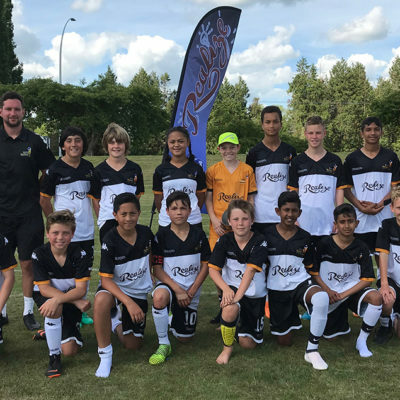 Albie Francis-Alles, who has been coached at the RHFA for several years, was selected for the trip after impressing Fulham FC Academy Coach Dave Wright at last year’s National Camp in Taupo. 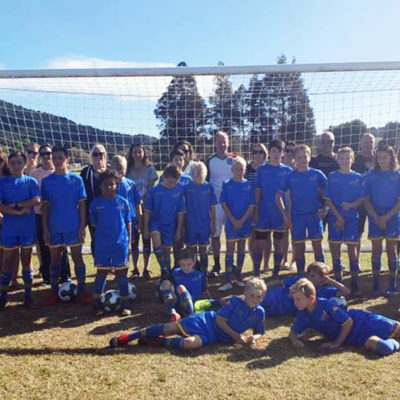 Francis-Alles was a member of the RHFA U-11 side that won its age group section at the Sydney Youth Cup tournament last season. 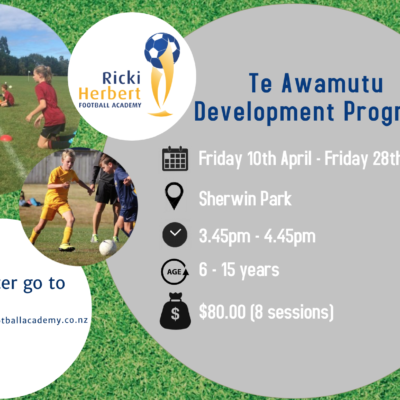 He became the second Fulham-bound player from the academy after Tauranga’s Mirko Brinkmann spent three weeks with the English Championship club last year. Last year I was given the opportunity to go over to England and train with the Fulham Football Academy after a trial with RHFA in October. We arrived after a long flight to be taken to our hotel. Our first day of training began on Tuesday, two days after we arrived; this was a full day of training for over 5 hours. 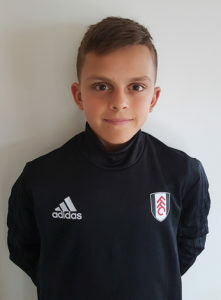 I trained with the Under 13 all day and enjoyed watching the first team win against Reading at The Cottage, in their fight for promotion to the Premier League. 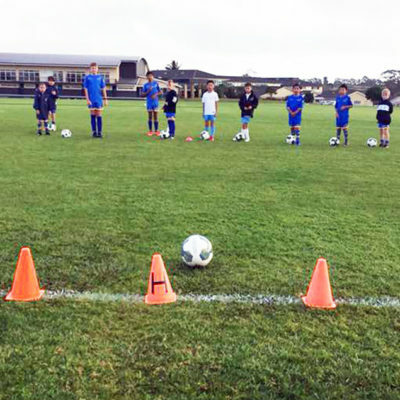 Over the first week, I adapted to the changes from New Zealand football, which were: moving the ball faster, always getting into positions, if that means going slightly out of positon and always thinking and keeping your head up. 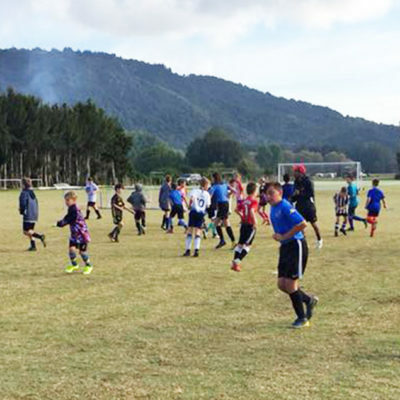 The second week became full on as the school holidays were finished and trainings were in the afternoon. The trainings involved lots of set play and cone work. We trained mostly inside the dome, unless out on Tuesdays and Thursdays after dinner on the floodlit pitches. 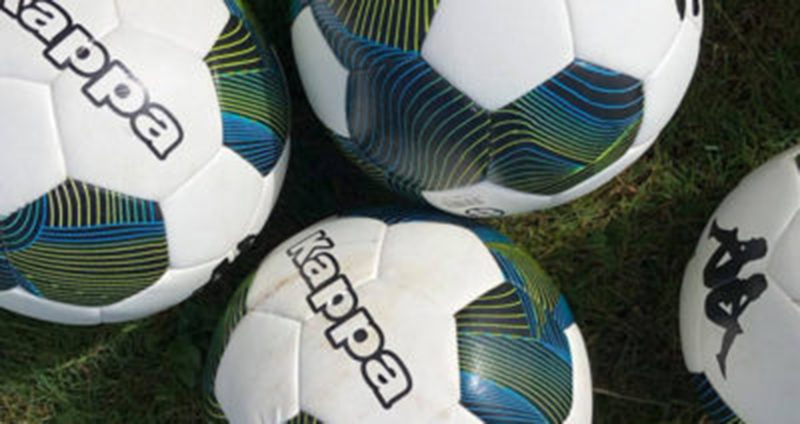 All the training, both indoors and outdoors, was on the best quality artificial turf, which made the ball move faster and the passes cleaner. Over the time I was able to use my strengths to the best of my ability, which for me is taking on players and my work-rate. I tried to use this at any opportunity. During dinner, I made loads of new friends from different age groups. Dinners were only on Tuesdays and Thursdays at the Academy but was a chance to learn about the players off the field. 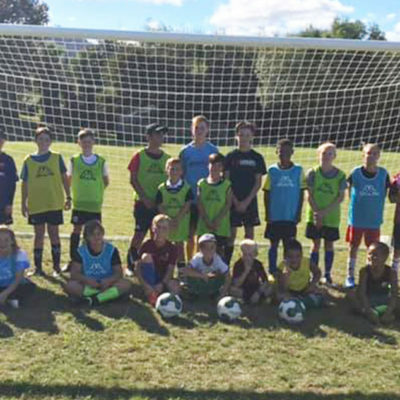 On Mondays and Wednesdays, we were lucky to play with the Under 16 and Under 14. It was a great experience playing with the older players of which a few had been called up for the Three Lions at Saint Georges Park. I learnt lots about off-ball movement and using your strengths to your ability. On Thursday, we had a game against London Elite Academy which was a good experience. I managed to get an assist. There were no trainings on Fridays as it is a period to rest before Saturday’s pre-game training. The Saturday trainings were my favourite trainings as we got to learn and view the tactics used for the games. Unfortunately I wasn’t able to play in the youth league game that weekend against Tottenham, even though they wanted me to, but you had to be legally part of the team as I was only trailing. Over the three weeks at England’s best football academy, I made the most of the opportunity and have learnt a lot and have a lot that I would like to keep building on. One bit of information that I learnt from one of my coaches was to always have fun and if you play with a smile on your face you are always going to go far. It was a great opportunity to learn from very experienced coaches and players. The coaches, who are very experienced, know what to look for in a player with their top class knowledge and I have learnt loads of new information from them which I would keep using in my arsenal for wherever my footballing career will take me. 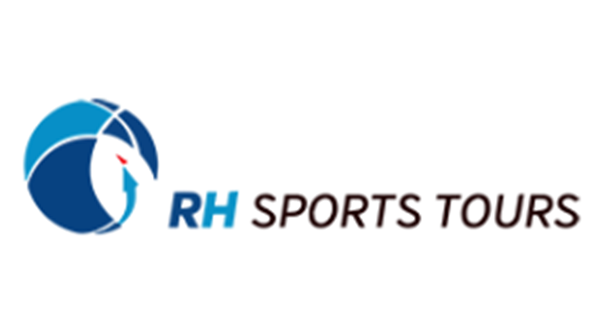 I am looking forward to keeping in further contact with Fulham Football Academy and hope the strong partnership will stay between the Ricki Herbert Football Academy. Thanks to Ricki, Kale and all the RHFA for kindly giving me this chance to experience football in another country and level. I am looking forward to going to Sydney with the RHFA academy and as the NZ football season begins. It was an honour and a privilege to represent RHFA.